I really loved the small class sizes at LSDA, and being taught by tutors that work in the industry. Make sure you keep the nice, cosy and friendly atmosphere. I have loved my time at LSDA. It was great to have the freedom to be myself, have great support and be taught by such professional teachers. It’s been the best thing – Thank You. I just want to say thank you to the whole team from LSDA (the teachers, the board and especially Jake) for this amazing year! Thank you. LSDA has a great family-like atmosphere and I really liked working in such a cosy and personal space. You always knew that you could come and talk to Jake about anything. It’s great that we had so many professionals in term 3 that we could ask questions and hear first-hand about the industry. Don’t change that. I really felt that all the hard work from terms 1, 2 and 3 is so rewarding in the end. The year at LSDA has changed my life for the better, and I’ll carry that in my heart forever. It helped me be who I wanted to be. I found the animal studies project really useful and rewarding. I also loved life coaching sessions and found the one-to-one feedback sessions very helpful. The best thing about LSDA is the quality of teaching. I particularly enjoyed acting for camera, dance and the voice classes. The chats with industry professionals were great. I found the voice work really beneficial. During my time on the Foundation course I built up very strong and positive relationships within the class and also with trainers. LSDA has a very close atmosphere and excellent student support – Thank you. Being part of LSDA has been amazing and I just wanted to thank you for giving me this opportunity. I am really proud of how I have grown in confidence. The greatest thing about LSDA is that it is a family. I love that all the teachers are industry professionals and that the school has a safe environment where you feel comfortable in making mistakes. I miss it and wish I could do my year all over again. The student support at LSDA is super – everyone is very open to listen to you and to help you. I really enjoyed working on Twelfth Night with Georgina Sowerby. It was both hard work and lots of fun, and Georgina is such an amazing director. The voice work was the biggest challenge but thanks to Nick and Susan’s teaching it was a pleasant journey. They are really motivated and teach you with real interest, care and kindness. A huge and genuine thank you for the summer course. It was such a boost for me to be learning new skills with others. First of all, I wanted to thank you, the school and all the teachers for these amazing two weeks. It has been a great pleasure being part of the summer course, I loved every moment. Thank you! At LSDA there is amazing support from the staff that focus on enhancing the individual strengths of each student. We are pushed to our limits and our weaknesses are challenged – this is all done in a close-knit, positive environment where you are made to feel completely safe. I had a wonderful year at LSDA and experienced so much personally and artistically, there are many things I wish I could go back and redo. Throughout the whole year I felt like LSDA became my family and I definitely created many memories with awesome friends. Jake and his team have truly created and nurtured a wonderful school. I loved the close-knit family atmosphere as well as the dedication and perseverance of staff members. I enjoyed the small classes, having tutors who are actors and the personal time with tutors. I really liked the acting technique lessons, especially with Georgina and Franceen – they’re great. I found the open door policy and approachability of all the tutors really helpful. My time was made more special by everyone who makes up the LSDA family, by the support and non-judgement from everyone and the variety of work covered. LSDA is unique and special in so many ways and I think it can only grow and expand in its awesomeness. I will highly recommend this training to everyone interested. Highly recommend. Very fortunate to have had such an experience. Thank you for the best two years of my life. If it hadn’t been for this course I don’t know where I would have ended up. I have become a better person and hopefully a better actor. The best things about LSDA for me are Jake’s availability, the number of performances, the fact that we are given parts that are so challenging and interesting and the originality of the programme. It has been amazing. Best year of my life so far. Learnt from everything. Thank you! See you soon. I really liked the fact that at LSDA we have the possibility to grow up in a safe environment. We had so many classes, covering a huge range of skills and techniques that are essential in preparation to become an actor (for example thinking about giving us a life coaching class is just brilliant). It’s great to have so many amazing teachers, all so different, who are currently working in the industry as actors or directors. Thank you LSDA! I changed as an actor and as a person. It was amazing. At LSDA I really appreciated the supportive atmosphere of both students and tutors, the broad range of classes for such a short course and having tutors that work in the industry. The 3 best things about LSDA for me are the student support and focus, the diversity of tutors and timetable and the close-knit family feel of the school. – Preparation for being part of the industry, both by teachers and by guest speakers. Seems our lives are dull and without any sense since we left each other, the school …we all want to be back I guess !!! It was a really great time. I was at your August 2-week summer acting class. I want to thank you very much for an enjoyable 2 weeks, I felt like I learnt a lot and had lots of fun! I can’t stop thinking about the amazing summer I had at the LSDA, I have definitely found myself a new passion! I have been thinking a lot about my future these last months, and I am now completely sure that I want acting to be a part of it. I got a lot out of LSDA’s Summer acting course and it was one of the most enriching experiences I’ve ever had. I will surely remember and treasure it forever. I enjoyed it and learnt so much that I felt very sad that I had to leave the place. All members of staff were incredible and the teachers transmit so much passion. I really felt at home and thanks to this experience I reconfirmed that acting is what I want to do in life. Great staff, support and community atmosphere. Overall, it was a wonderful training and experience, thank you. Whilst at LSDA I found the scene study classes really beneficial. I liked the individual attention that each student gets, the close relationships you build with the staff and meeting people in the industry. Thank you. My favourite things about LSDA are the family-like atmosphere, the final term’s plays projects and the diversity of students and subjects. I am honoured to have been part of this wonderful school! I shall miss LSDA but never forget my time at the school; you are part of me now. An excellent week-long course. All scenes were recorded which gave the opportunity to playback and analyse the performances thoroughly. I wanted to discover the acting world, see that is what I like and want as well as seeing if I was capable of doing it. I really enjoyed the variety of teachers as well as their high quality of teaching. Very much enjoyed the course. Taught by real industry professionals and feel I learnt a lot during my time there. Was great to have practical lessons in acting, singing and dance all day, every day. Would recommend the course. London School of Dramatic Art provided fantastic training for me. As it was only a year course it left no time for messing about and pushed all students to take responsibility for their own work right from day one. We performed some of the best plays in history: Richard II, All my Sons, Metamorphoses, and many more. A group of EXTREMELY GOOD teachers in this school! My experience studying at LSDA has taught me more about Acting, the professional acting business & most of all, about myself, more than I could ever have imagined. The course completely prepared me for life as a professional and gave me the confidence to trust what I had learned and use all the skills I had both nurtured and acquired. The teaching staff are phenomenal, all working professionals who teach you not because they have to, but because they want to. Their passion ignites more passion within you and they encourage you to push yourself, take risks so that you can learn and achieve as much as possible. I feel confident in what I have been taught and know that whenever I need advice, even though I have graduated, the teachers are still there for support. The course was very very good. I have learnt so much which I would never have done in any short courses. It’s worth the money and time and everything. All the teachers are very helpful and guide you to the right place. I would recommend it – if you are serious in getting into the acting industry then this is the course. The training and support from Jake Taylor, the tutors and admin staff were fantastic. Studying at LSDA was wonderful! As a small school it caters specifically to each student’s specific talent. The headmaster Jake Taylor really invests a lot of time and care into each of his pupils ensuring that they really do get the best training possible. The classes and teachers are excellent, with all teachers being actors currently at work in the industry, meaning their teaching is fresh and passionate. I cannot praise this school enough. Excellent small-scale school with all-round education about acting. 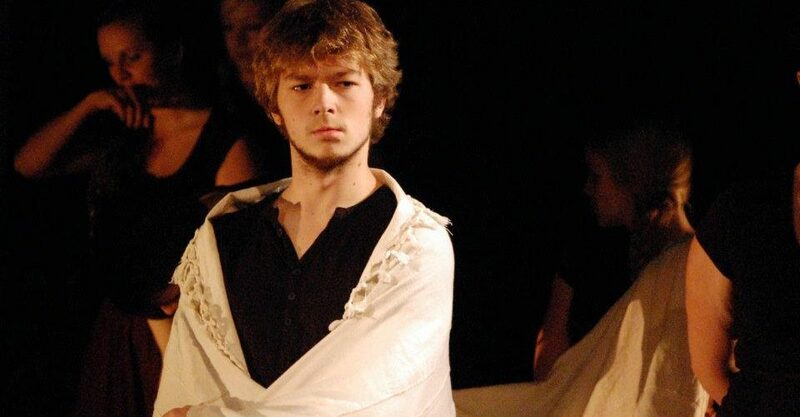 The London School of Dramatic Art is a fantastic institution with exceptional standards, tutors and a wonderful, safe and supportive working environment to be creative in and for studying this craft. I can attribute any success I have had since leaving to it, and there isn’t an audition, job, or day that goes by when I don’t draw on my experiences from the year. With anything, the work you put in is what you’ll get out of it, but LSDA pushed and challenged me in areas I didn’t know existed within myself. Recommended. If you are not looking for a factory and want teachers that really care about you, this is the place! The environment is made so for you to feel safe and grow as an actor AND as an individual. But be prepared: it’s intense. The year I had at London School of Dramatic Art helped me to grow more than I ever had before as an actress, and since graduating, I have used the techniques which I learned in acting jobs with many theatre companies, therefore growing in confidence and in finding my individual style and voice. I would recommend the Advanced 1 year Diploma in Acting course for anyone who is really serious about acting as a profession. It helped prepare me for the industry and gave me methods which I use today. As it was a very intense year, students must come prepared to be very challenged, but also expect to go away with a great fulfilment for all the work they have put in. The tutors bring a good variety to the study, with their different backgrounds, and together work to bring out each student’s individuality in a positive way for their character work. I certainly left feeling that I had made breakthroughs in my individual and performance development, and look back very positively on my time at London School of Dramatic Art. Well, it was truly one of the most memorable experiences I’ve had so far…I did things I would never have done and read things I would never have read. I learnt a lot more than I was expecting whilst on the Diploma Course. Before LSDA I didn’t realise how much there was to learn about acting. A fantastic experience. It has helped me in so many ways. I loved the safe and supportive environment, all the different teaching methods and getting honest constructive feedback! It wasn’t until I left the training that I truly realised how valuable it was. It is really great now to be able to use so much different tools when approaching scripts. I miss training in a safe environment, to try new things and be brave every single day. I would advise anyone who hasn’t worked outside their comfort zone to try it; it’s all very exciting and not as scary as you might think. The acting and voice classes at LSDA were fantastic, as were the stunning directors we got to work with, I learnt so much from them all it’s crazy! Dance with Miles was amazing, I have learnt so much. I miss LSDA! It was an amazing year, and thank you so much to all the wonderful teachers who work so hard with all of the students. Good luck to all new students, take everything in that you can…. and take my advice… don’t try too hard (like me! ), eventually you’ll start to get it and love acting in a way that you could never have anticipated. 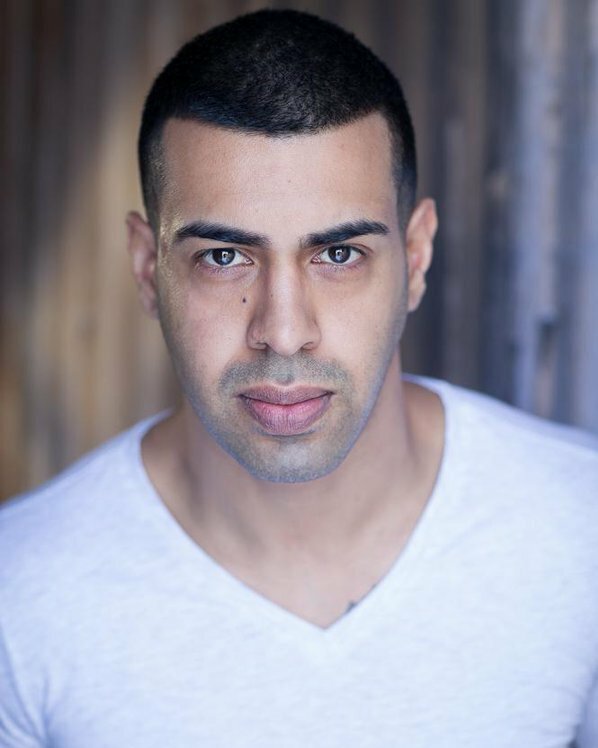 Amit has just finished performing in Punjabi Boy and he recently played Theo Hall in Doctors (BBC). His theatre credits include King Lear at The National Theatre directed by Sam Mendes, Kabir Kapali in Ruffled (Theatre 503), Malik in Survive And Thrive and Rana in Unsung. His TV and Film credits include Ali in Guardians (MW Productions), Midsomer Murders (ITV) and Eastenders, (BBC).